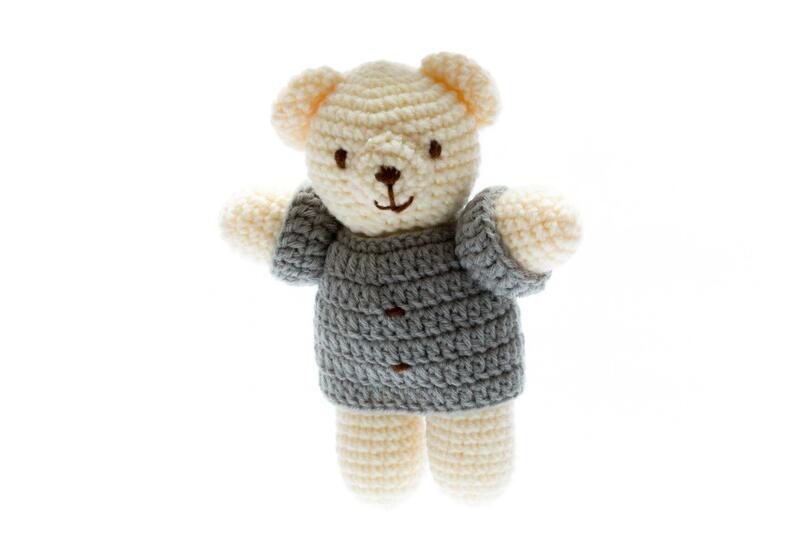 This chunky crochet bear toy makes an ideal newborn baby soft toy. The chunky crochet is tactile and stimulating for your baby whilst also being soft and snuggly. This baby soft toy is machine washable, handmade and suitable from birth and makes an ideal gift for a young baby. Please note that dimensions are given as a guide only and can vary. Best Years are a soft toy manufacturer based in the UK. All of our chunky crochet soft toys are available direct to consumers and to wholesale, retailers and museum customers. See how these toys are developed and made here.